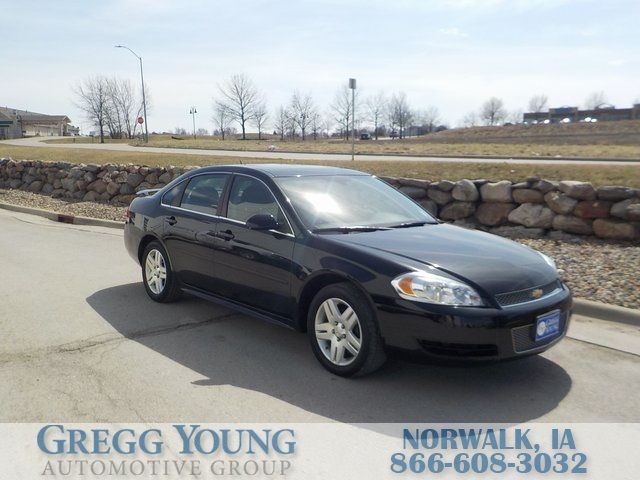 Our incredible **Accident Free**2013**Chevrolet**Impala**LT**Sunroof**Bluetooth** is displayed in striking Black and balances your desire for performance with your need for efficiency. Powered by a 3.6 Liter V6 that offers 300hp while connected to a 6 Speed Automatic transmission for easy passing. This luxury-minded Front Wheel Drive can score near 30mpg on the open road while offering beautiful alloy wheels, prominent sunroof, and dual exhaust will cause heads to swivel. 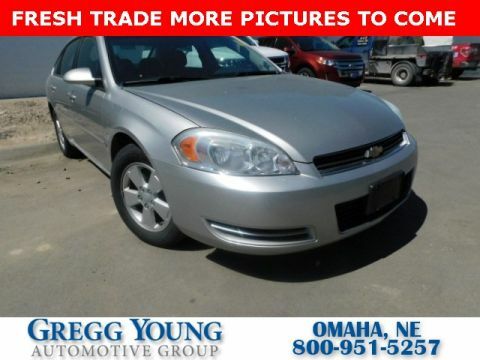 Chevrolet Impala's LT trim blends full-size sedan comfort and midsize sedan efficiency. 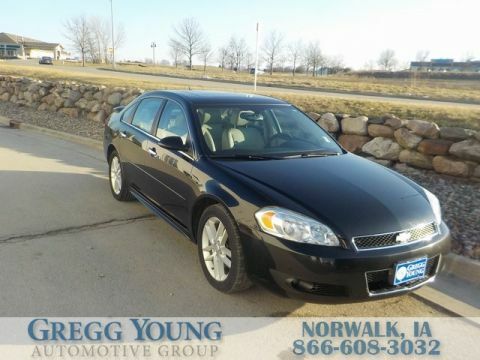 We offer room for five, deluxe instrumentation with chrome trim, and dual-zone climate control for starters. Luxury and convenience continue with leather-wrapped shift knob and a flip/fold rear seat. Listen to your favorite songs on the AM/FM/CD system with AUX input for your alternative media devices. Safety is maximized with Chevrolet Stabilitrak, multiple airbags, and much more. Give your family the pleasure, performance, and safeguards that only come from owning our Impala. Print this page and call us Now... We Know You Will Enjoy Your Test Drive Towards Ownership! We offer PRE-APPROVAL programs so call (515) 256-4010 to get started today! At Gregg Young Chevrolet... We'll Go The Extra Mile For You. We have an app for that! Download the Gregg Young Chevrolet application directly to your iPhone or Android.